Leather is a natural product. It breathes, is warm and has individual characteristics, which make each hide unique. Leather will always display traces of its origin such as brands, scars, creases and growth. These hallmarks add character to the suite and do not affect the wearing qualities of the product. Leather is highly resilient and durable, and over time, develops a patina that increasingly enhances its appeal. Always protect your suite from direct sunlight, as this will accelerate the natural ongoing discolouration process. On pigmented leather, dust should be removed by vacuuming and wiping with a slightly damp cloth, using a solution of warm water and mild soap on a regular basis. Never use abrasives such as household polish, which may damage the treated surface of the leather. Suede, nubuck and aniline leathers require particular care, as they lack a protective coating. Use products specifically designed for these types of finish and follow instructions carefully. Always test any cleaning process on an unseen area. Never place leather furniture against any heating source such as a radiator. To remove spillages, do not rub into the leather as this will cause staining. Liquids should be quickly raised from the leather by using the edge of absorbent paper towels and then dabbing the area lightly with clean towels. Sweat or perspiration may cause harm to leather. In particular it can cause colour loss and cracking of leather. To minimise the risk of this happening in heavily used areas such as the arm rest and head rest, we advise that the cleaning instructions are regularly adhered to. Seat, arm and back cushions should, where possible, be regularly plumped up to maintain the shape of your suite. Where zips are used, these should not be required to be unfastened, as they are there for ease of manufacture. Certain non-colourfast clothing such as denim can stain light coloured leather if it comes into regular contact. Sharp objects may scratch the surface. Caster cups are useful to reduce indentations on carpets and wood flooring. Strong sunlight can cause leather to fade and crack. If you need any additional help or advice, feel free to call in or telephone us to speak to one of our advisers. Every hide is different and because the dyes and finishes penetrate to varying degrees in different parts of the hide, an attractive variable finish is achieved with a level of uniformity as consistent as these processes allow. The natural marks, grain variations and wrinkles, which appear on each hide, feature in certain areas of the furniture depending on the degree of marking. Heavier marking will appear on the outside backs and sides, or on areas not usually visible such as under seat cushions. The more subtle markings will feature on the more prominent parts of the suite. Irregularities in the grain, small scars and insect bites and other natural skin marks should not be considered as defects. Only real leather has these characteristics, and they exist as your proof of authenticity. It is perfectly normal for certain areas of leather to show signs of creasing and stretching. A combination of these factors means that in the first few weeks of use, creases and wrinkles will develop naturally to create a softer, more inviting look, an inherent quality of fine leather upholstery. Soft upholstered furniture gets just as dusty and dirty as cabinet furniture - the difference is you can't always see it. Upholstery should be viewed in a similar way to clothing, i.e it needs regular cleaning, ideally by a reputable cleaning company. If snags do occur, carefully cut off the loose ends with scissors or tuck back in - do not pull them under any circumstances. Reversible seat and back cushions should be turned regularly and plumped up to maintain their shape. As a guide these cushions should be attended to at least on a weekly basis, but may require daily attention dependant upon type of filling and usage. Strong sunlight can cause fabrics to fade. Velvet and chenille fabrics have a raised surface texture which is prone to flattening and shading. It is important that you understand this characteristic. Wood or decorative facings require minimal maintenance, and should be occasionally wiped with a damp cloth to remove dust. Do not use spray polishes or solvent cleaners, as these can have a damaging effect on both the facings and adjoining fabric. Stop spills becoming stains. Do not use detergents. Do not try to wash or rub minor spills. Vacuum or brush clean your upholstery weekly to remove accumulated dirt, which can cause colours to look faded or dull. Plump the cushions at the end of every day of use, particularly those filled with feather or fibre, and also smooth out the surface to prevent permanent creases being formed. Where you can, turn the cushions regularly to equalise wear. Clean all parts of a suite together as slight colour changes can sometimes occur. Motion furniture has many different designs and functions, and it is very important that the manufacturer's operating and care instructions are correctly followed. Loose covers should be cleaned regularly in accordance with the manufacturer's instructions. Some slight shrinkage may arise on initial cleaning, but sufficient tolerance will have allowed for this. When removing and particularly when replacing loose covers, always take care with the carcase and cushion cover zips. Your covers are tailored to snugly fit the carcase, therefore identify the shapes prior to fitting. If washed, replace the covers when just slightly damp to ensure a better fit and less shrinkage or creasing. Do not replace covers if they are wet, as this could damage other materials. When buying cabinet furniture, you are doing so with a view to keeping it for a long time. It makes sense to look after it from day one. With consistent care and maintenance your investment will stay beautiful for many, many years. Simply follow the appropriate guidelines below. Avoid changes in humidity and especially steam. 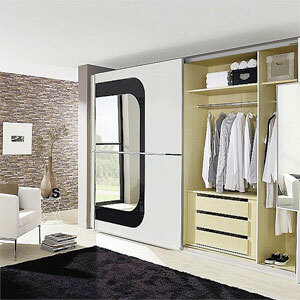 Always leave a gap behind wardrobes and wall units to allow air to circulate. Avoid marking furniture with sharp objects, for example when using a ballpoint pen. Always follow fitting instructions for wall-fixing, glass surfaces and shelves. Uneven floors could give the impression that doors of wall units and wardrobes are out of alignment, so be aware of this and compensate if necessary by adjusting the hinges or packing a corner to level the item. Do not place hot dishes, cups or plates onto any cabinet or table top - use insulated mats as protection. Don't overstrain drop flap stays and hinges or place heavy items onto glass shelves. Take care not to drag crockery across the wood surface or to put heavy items on the surface without protection. With wood products the best way to deal with scratches is to employ the services of a professional polisher. Please ask for details. Wood is a naturally occurring product; part of its beauty is that no two pieces can be the same. The depth, shade of colours and grain pattern vary from item to item. Gently dust your furniture and polish with a soft, lint-free buffing cloth. The colour of real wood matures with exposure to light, so it is important to move ornaments regularly and expose table leaves to avoid noticeable colour differences occurring. Never use silicon or wax polishes that leave residue on surfaces. Only use good quality wax-free proprietary furniture polish, where recommended by the manufacturer. Disconnect any light fittings from the mains before changing bulbs. Dining chair upholstery can be lightly vacuumed or gently brushed to remove dust. Finger marks can be removed with a clean, slightly damp cloth. Protect wood surfaces with felt under-cloths and place mats. Always follow your manufacturer's cleaning instructions to the letter. Most lacquer or synthetic finishes on real wood give a semi-permanent barrier to make cleaning as easy as possible. Tall cabinets may need fixing to the wall and most items are marked accordingly. Changes in temperature and atmospheric moisture content will cause movement in furniture. This has always been an inherent characteristic and is not a manufacturing fault. Heavy furniture will leave indentations in carpets and may mark hard flooring if it is dragged across. Fabrics on dining chairs can be protected against staining - please ask for details. The marble and stone within furniture we sell are natural materials and contain all the variations and unique colouring found in nature. It is not possible to control the occurrence of these characteristics. 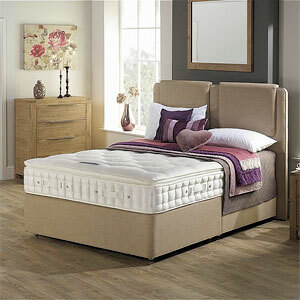 Just like all our furniture, our beds are designed to withstand general wear and tear. However, we recommend that you follow this advice to keep your bed in top condition for as long as possible to ensure maximum sleep quality throughout the natural life of your bed. Lively children may use your new bed as a trampoline. This is not recommended if you want to prolong the life span of your bed. If you have bought a "No Turn" mattress, with a single sleeping surface, e.g. Memory Foam, Latex, Pillow Top and Anti-slip mattress, it is important that you rotate your mattress regulary. For all other mattresses it is important that you turn and rotate your mattress regulary once a week for the first two or three months and then monthly thereafter. This will prolong the life-span of your mattress. When turning your mattress please do not allow it to bang or fall against the side of the divan, as this may damage the spring system. Some assistance may be required. Take care when turning your mattresses; do it with someone else especially if your mattress is particularly heavy. Frequent turning and plumping reduces natural dips and 'nesting' in spring interior mattresses. The drawers within a drawer divan are usually designed to hold lightweight items, such as bedlinen, and should not be overloaded. Maximum weight: Mini drawers - 7kg, Standard drawers - 15kg. If your mattress does become wet, stand it on its side to minimise the penetration of moisture and allow it to air away from direct heat. Due to modern day fillings being more sumptuous than their predecessors, settlement may be more pronounced in the areas under the most body weight. This is quite normal and, providing that the mattress is properly supported, can be minimised by regular turning and rotating. After its removal from the packaging, please leave your bed uncovered for a few hours to allow any condensation to escape. Please ensure that the polythene bag is well out of reach of small children. We recommend that you use a mattress cover which will protect it from coming into contact with body moisture or other liquids. Do not use detergents or chemical cleaners. Using detergents or chemical cleaners on your mattress is likely to damage the fabric and stitching. If your mattress has a removable washable cover, please ensure that you follow the care instructions as clearly marked on the wash label. Please note that incorrect washing will invalidate the guarantee.